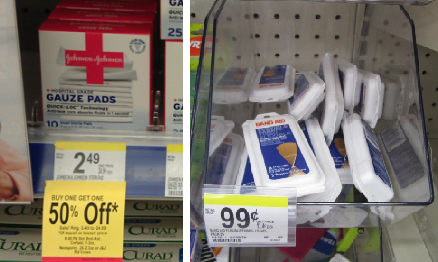 Band-Aids only $0.49 w/ Coupon! Hurry and print this new Band-Aid coupon to score a few great deals at Walgreen's! You can also use that coupon to get much larger sized boxes at a good price. NOTE: If you don't live near a Wag's, the travel sizes are priced at around $0.97 at Walmart and Target so you can use the coupon there. Thanks, Wild for Wags for the deals and photo!